The adjective I chose was caring because I'm always concerned when my friends are upset and i always give my friends food at lunch. This quote I chose really stuck out to me because it shows how you don't need to be pretty or attractive to have a caring heart. 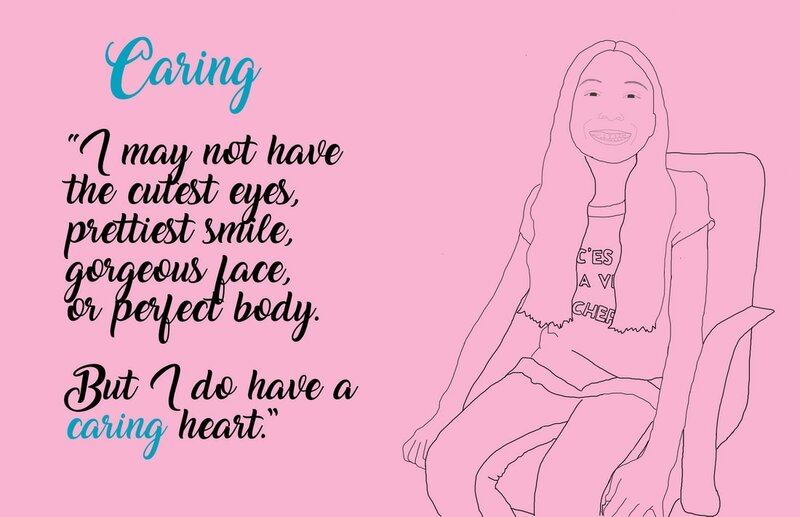 On photoshop I did the word caring to stand out and my drawing was simple because I wanted the words to stand out. This project was created by me and my friend Rose. 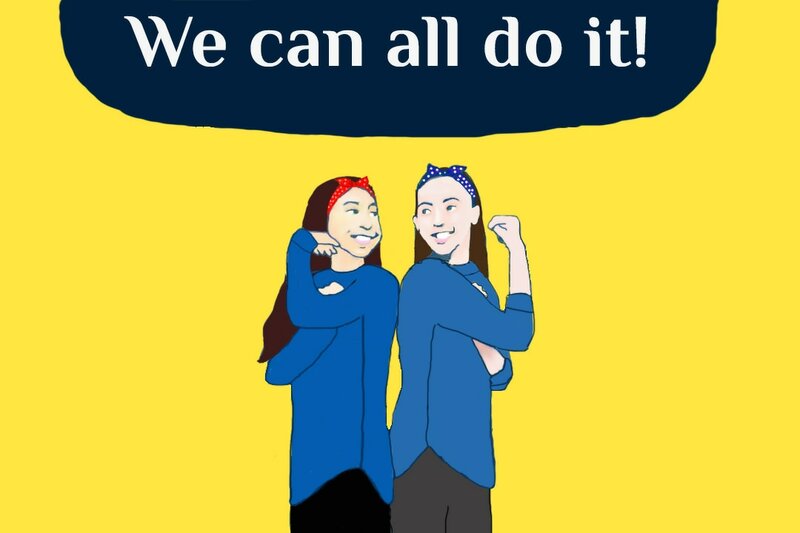 We both were very inspired when we came across a famous picture which was a edited version of the Rosie the Riveter, but instead of one woman it was three women of different races standing together saying " We can all do it!" We both loved that poster so much that we wanted to recreate it. but we wanted to make make it unique to us so we took a picture of us together and then we put in photoshop and basically colored ourselves in. This poster is saying how everybody is capable of doing anything they set their mind to no matter their race, gender, or sexuality we are all equal and we can all do it.